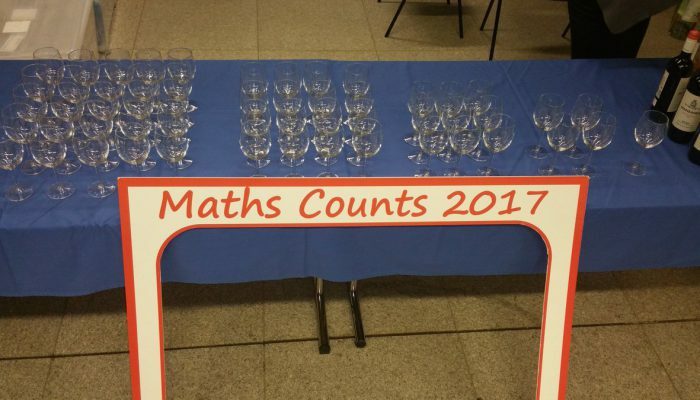 Another year and another brilliant Maths Counts Conference. 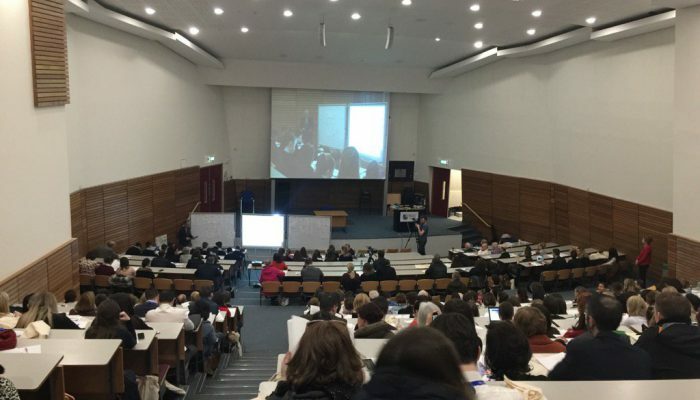 A record crowd of close to 450 watched Professor Takahashi steer an open-ended path through geometry and then witnessed a first for Irish education as our amazing lesson-study teachers taught their students live for all to observe. 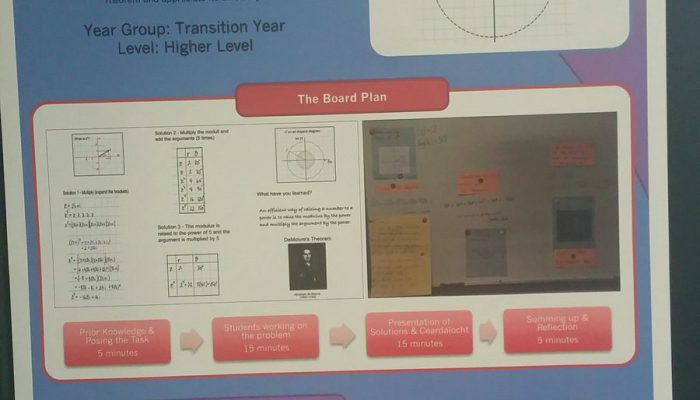 If that wasn’t enough, there were still 20 interactive workshops to choose from, a poster display of 52 lessons, an address by Maths Development Team National Coordinator, Dr. Anne Brosnan and a presentation on school self evaluation by Senior Inspector, Linda Ramsbottom. It’s fair to say that everybody was tired but energised by conference end on Saturday afternoon. 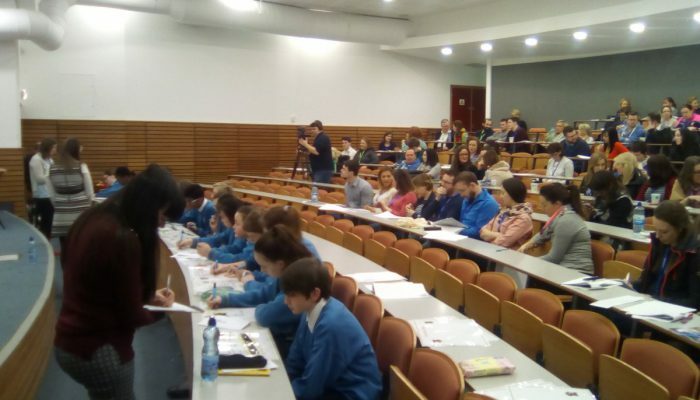 Thanks to everyone who attended but most especially to our 250 lesson-study teachers and the students and staff of Maynooth Education Campus, Coláiste na hInse, Santa Sabina Dominican College and Temple Carrig School who gave up their weekend so that we all might learn some maths. Check out our gallery of images from the weekend. Lots of happy teachers and students…..
Interactive Workshops – Teachers listen attentively to a geometry / trigonometry lesson on how to see through the “Dab”. 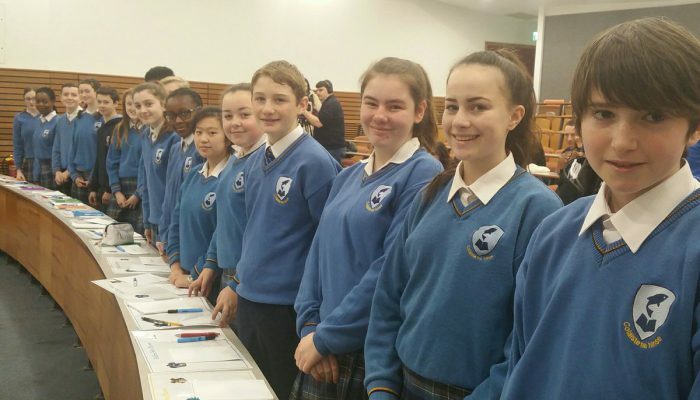 Santa Sabina Dominican College – The girls of Santa Sabina get ready to be taught by their teacher Ms. McAvoy. 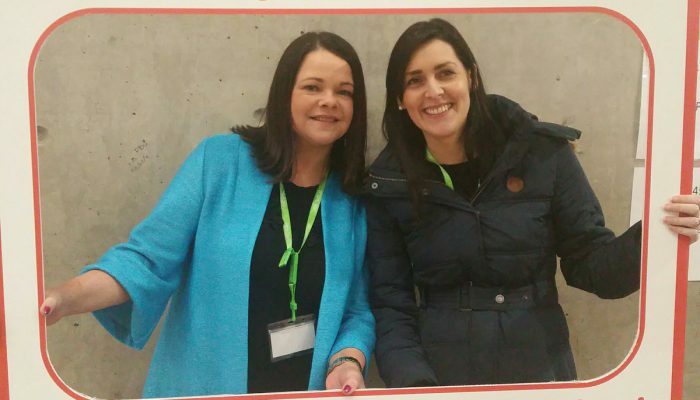 Maths Development Team – MDT members Tricia Nolan and Lynn Anderson take time out to pose for the camera. Thanks for all you help ladies. 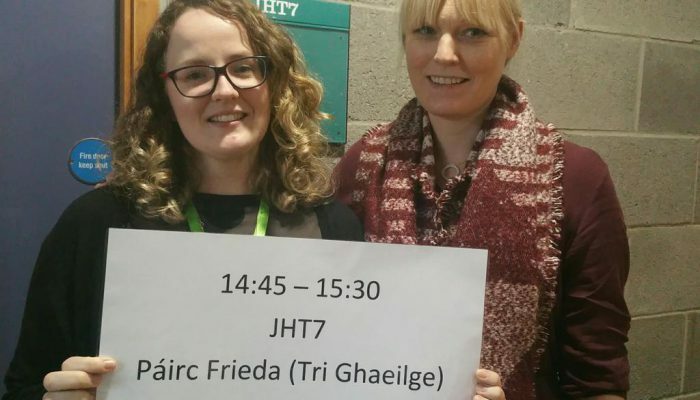 An chéad ceacht trí ghaeilge – Lucy De Faoite and Emer Nic an Rí get ready to wow everybody with their trigonometry lesson on area of a triangle. 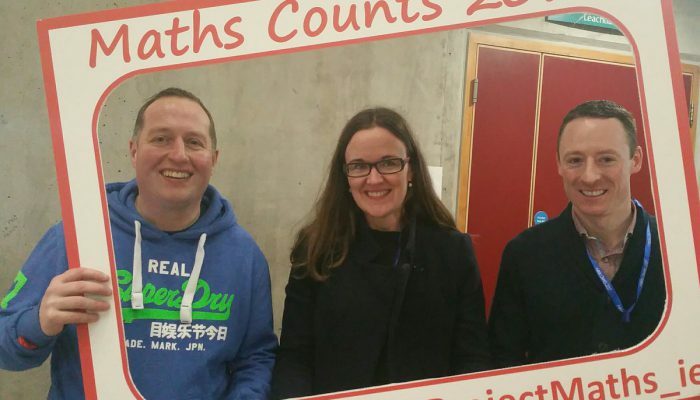 Teachers posing – Teachers attending Maths Counts pose for the camera. 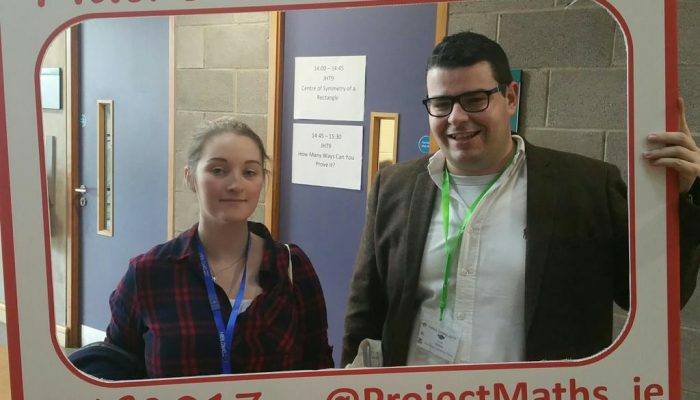 Teachers posing – MDT member Derek Maher poses with Samantha Ward at Maths Counts. Ballymakenny College – Management and teachers from Ballymakenny College, Drogheda get in the picture. 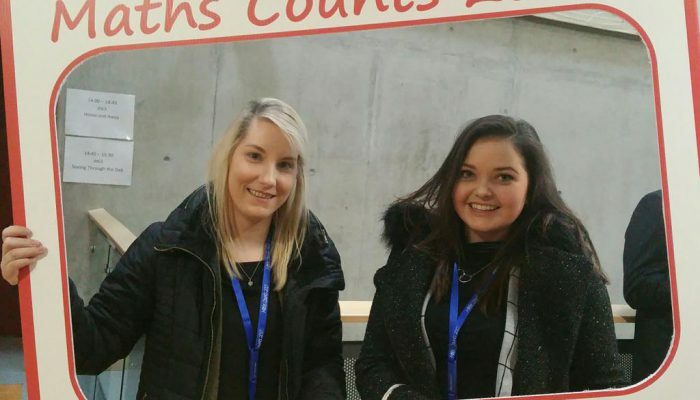 Ballymakenny College were one of the schools involved in teaching live at Maths Counts. 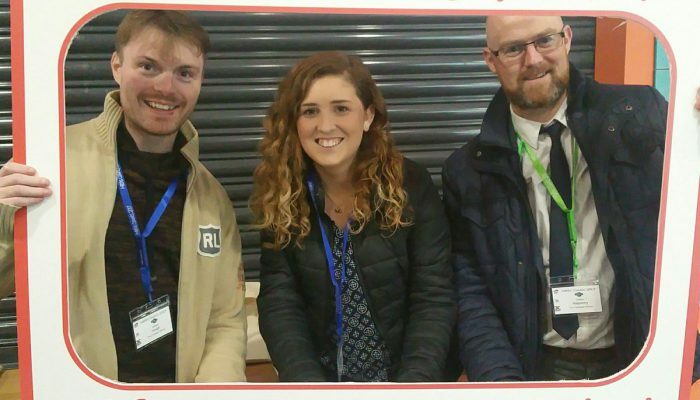 The Teresian School – Andrew Hough and Alison Leahy from The Teresian School, Donnybrook pose with their colleague and MDT member Cathal Halpenny. 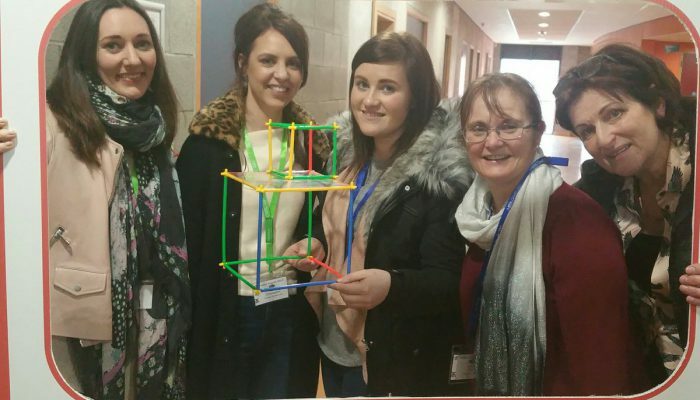 Look what we made – Wicklow teachers Mariosa O’Callaghan, Natasha Smyth, Kathryn Fox and Mary Kilgallen with MDT member Joanna Garry showing off their fabulous 3D cubes. 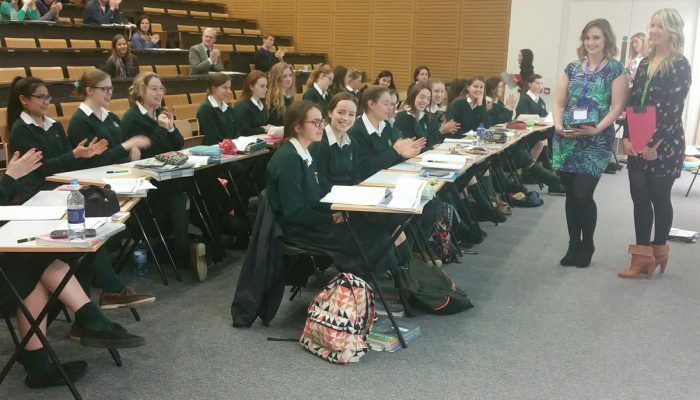 Temple Carrig School – Students and teachers prepare for live lesson at Maths Counts. 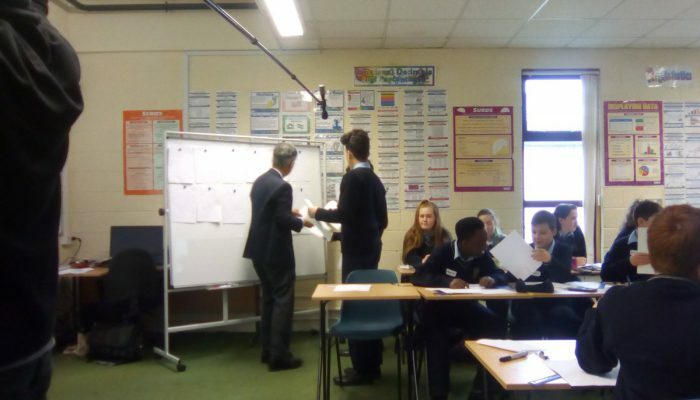 Post-Lesson Discussion – The team at Temple Carrig discuss the success and challenges of their lesson on coordinate geometry and synthetic geometry. 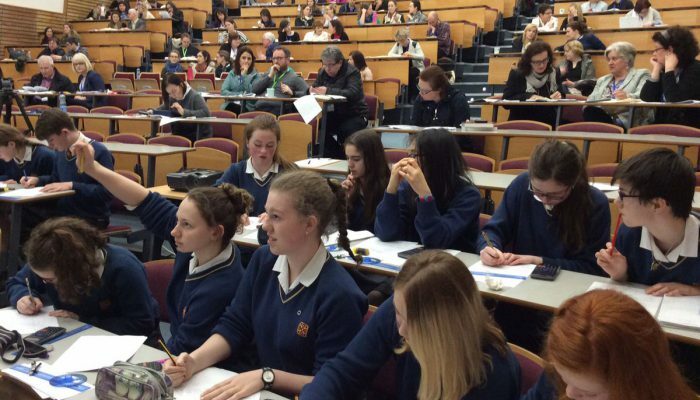 Temple Carrig Students – Temple Carrig students listening attentively to their teacher, Dr. Declan Cathcart. 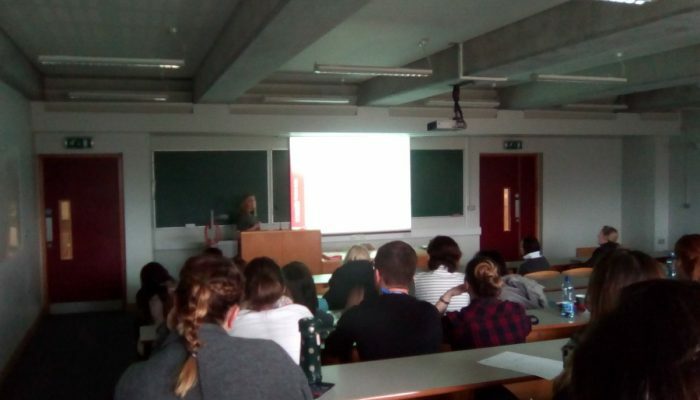 Temple Carrig Research Lesson – Lucky we had a large theatre available. Live lesson by Temple Carrig proved very popular. Student Reflection – A student’s thoughts on what they learned during their three lessons with Prof. Takahashi. Square Glasses – What do you mean the wine glasses are square? They look round to me. Santa Sabina Teaching Team – Teachers from Santa Sabina Dominican College pose with Prof. Takahashi and Dr. Brosnan after their live lesson. Students of Santa Sabina – Students patiently await Ms. McAvoy for the start of their lesson. Can I have your attention please? – Ms. McAvoy has everyone’s full attention during her live lesson. The Polygon Predicament – Can you solve it? You’ll need to know what a diagonal is before you can start. 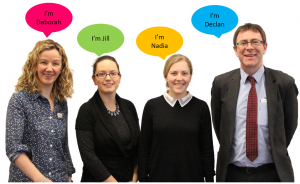 The Maths Development Team – All the teacher work that back-boned Maths Counts was supervised by our small but very able team. Dogs do Patterns – …..and so do first years. Just one of the 52 posters which brought new energy to Maths Counts. 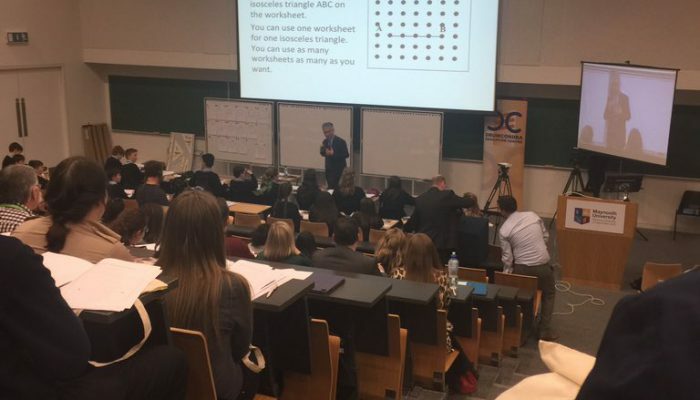 Decoding de Moivre – Over 100 teachers turned up to watchDavid and Paudge from Loreto Wexford show that students can develop De Moivre’s Theorem for themselves. A Full House – Decided to move to a bigger theatre three days before Maths Counts. Lucky we did. Even the bigger theatre was bursting. 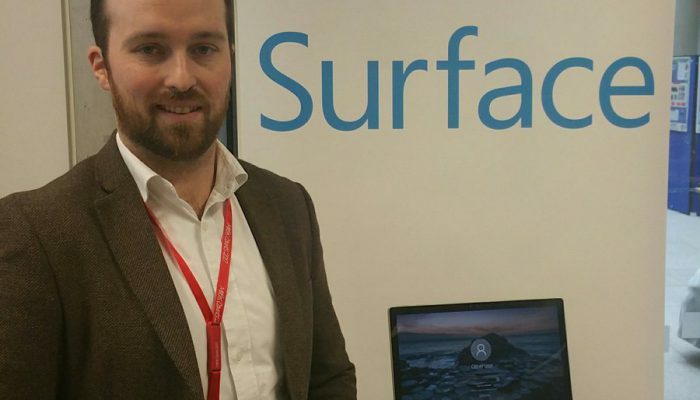 Thank you Sponsors – Thank you Microsoft. 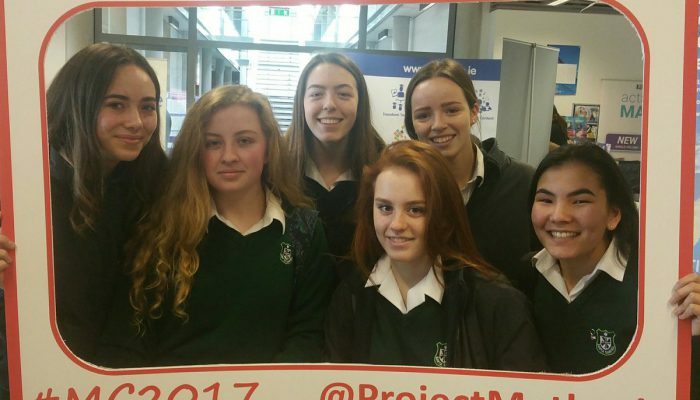 Your continued support of Maths Counts speaks volumes of your support for education. 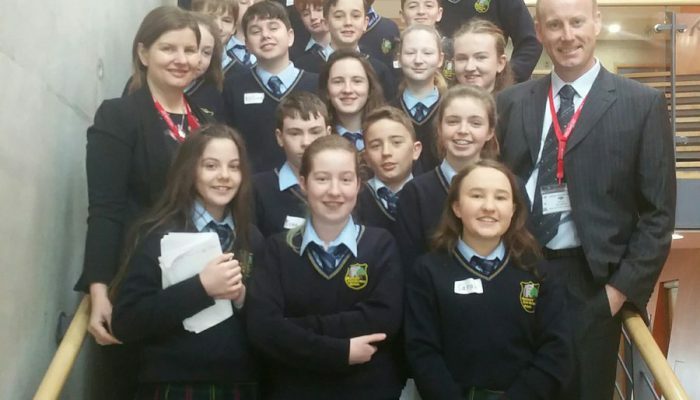 Maynooth Education Campus – First year students, their teacher Ms. Kelly and their Deputy Principal Mr. Broderick taking a breather between proceedings. We couldn’t have asked for more support. Thank you. 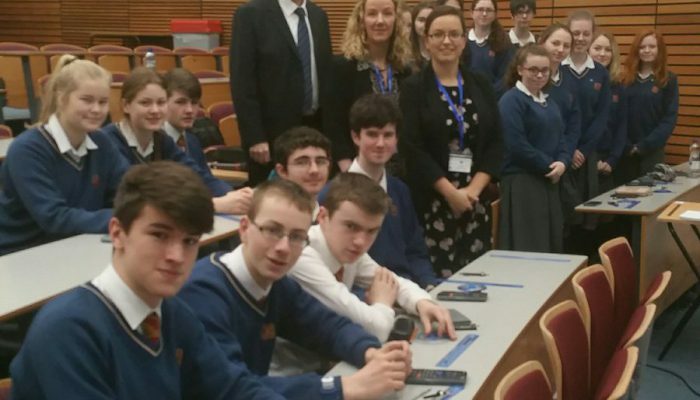 Mathematicians of the Future – Some of the class from Maynooth Education Campus. They’re a clever bunch (and a fun one). 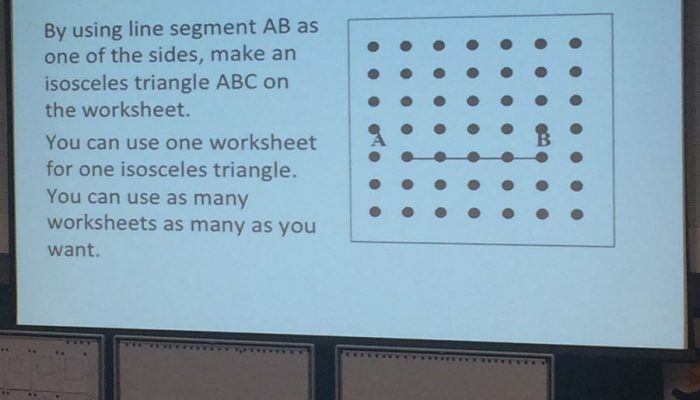 Congruent Triangles – It’s amazing that such a simple task would eventually end up with students identifying conditions for congruency themselves. Some people couldn’t believe what they were seeing. Friday night – Prof. Takahashi and students doing maths late into Friday night. 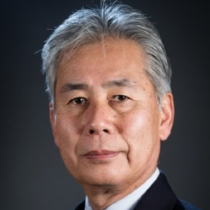 Saturday Morning – Professor Takahashi revisits the outcomes from Friday’s work before quickly moving into new territory. 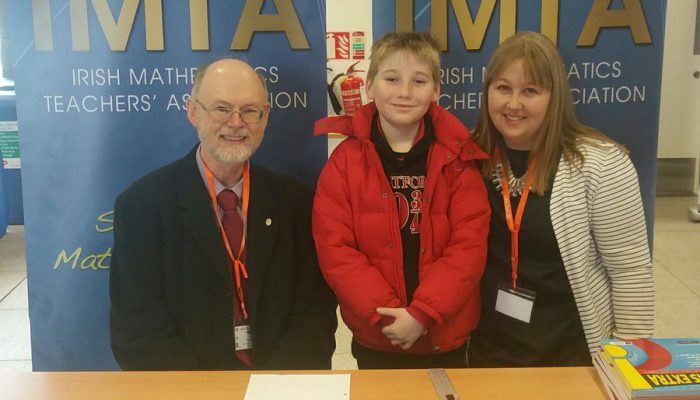 IMTA – Delighted that the IMTA were present at Maths Counts to alk to all their members. 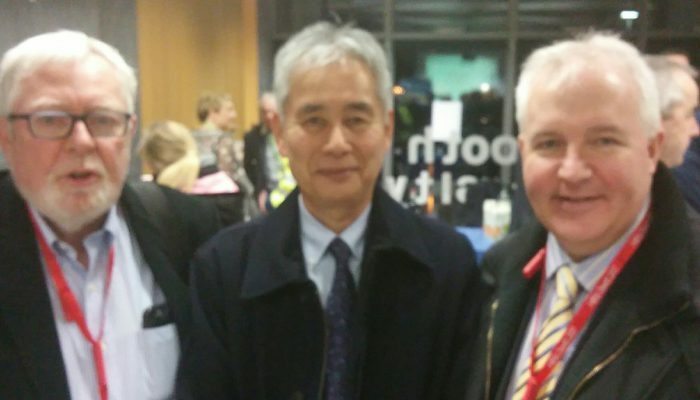 Time to relax – Professor Takahashi with Tim Hurley and Gary O’Donnacha after Friday night’s lesson. 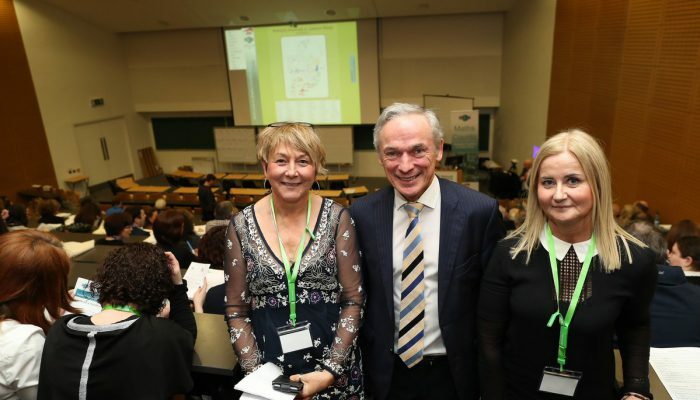 Meet the Minister – Gráinne Haughney of Drumcondra Education Centre and Dr. Anne Brosnan meet special guest Mr. Richard Bruton T.D. 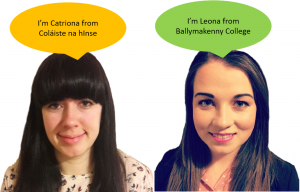 Students Problem Solving – Ms. McArdle assesses student’s as they work in preparation for Ceardaíocht. 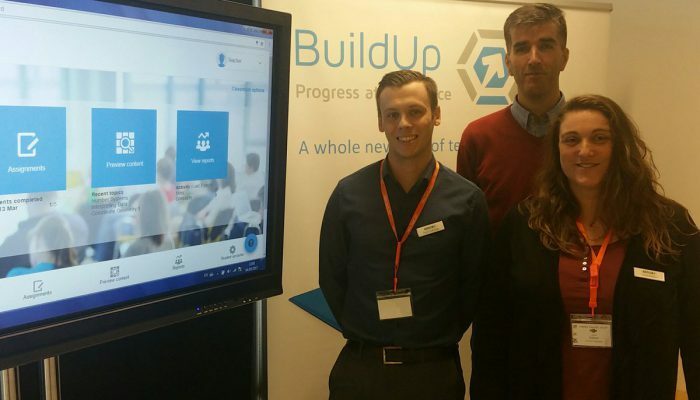 Thank you to our Sponsors – Thanks you Build Up for sponsoring Maths Counts 2017. Your exhibit looked brilliant. 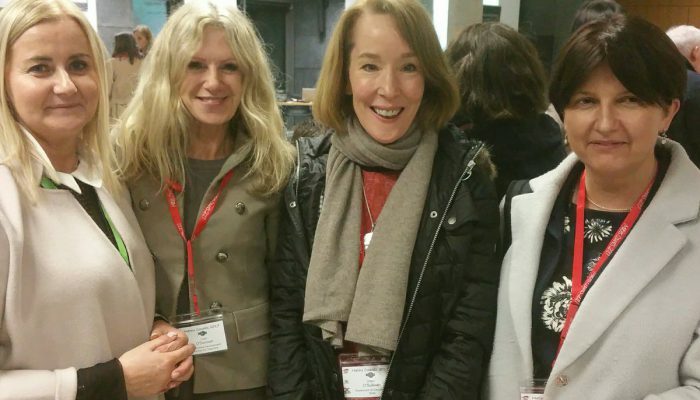 Welcome to Maths Counts – Dr. Anne Brosnan greets Ms. Ciara O’Donnel (PDST), Ms. Eileen O’Sullivan (DES) and Ms. Marguerite Boyle (DES). 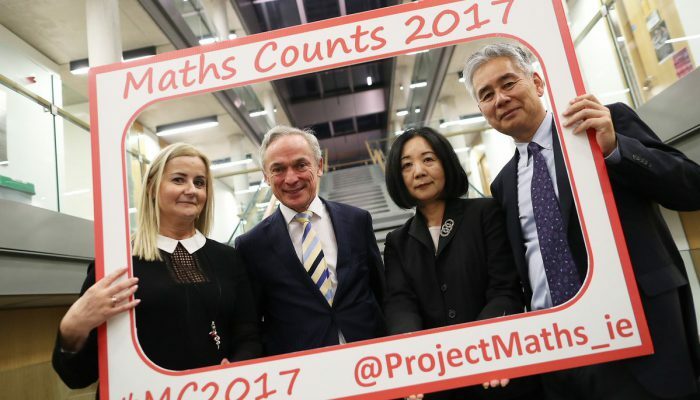 Special Guests – Dr. Anne Brosnan chats with Mr. Richard Bruton T.D., Ms. Midori Yamamitsu and Prof. Akihiko Takahashi. 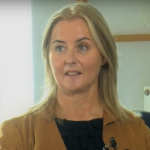 Keynote Speaker – Dr. Anne Brosnan explains the role of lesson study in driving education standards in maths classrooms across Ireland. Every year we try to make Maths Counts bigger, better and more worthwhile for all maths teachers but we can’t do it without your feedback. If you attended Maths Counts but didn’t get to hand in the feedback form, we’d really appreciate it if you took two minutes to complete the online feedback form here. 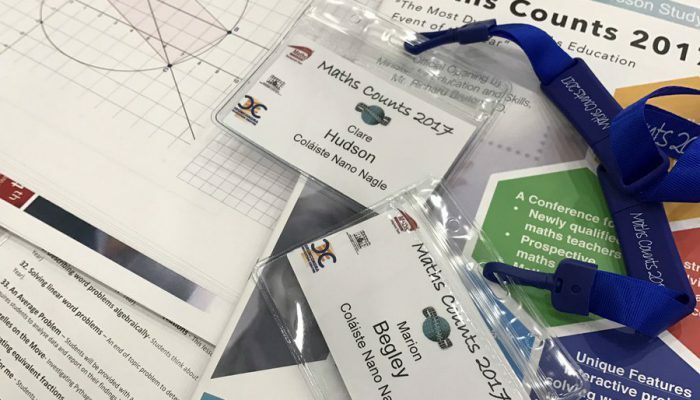 Below you’ll find a brief overview of the main events at Maths Counts as well as a library of all 52 lesson proposals showcased at the conference. Enjoy! 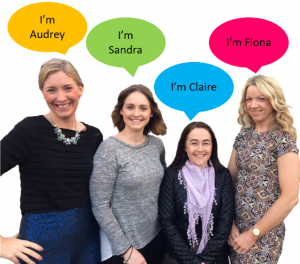 Audrey Carty, Sandra Byrne, Claire Holton and Fiona McAvoy’s lesson is The Polygon Predicament and is targeted at Leaving-Cert. Higher-Level students. Combining aspects of Geometry, Probability, Algebra and Functions this problem challenges students to make connections between the different strands of the maths syllabus and aims to develop students’ problem-solving skills, communication and ability to reason. You can find their lesson proposal for The Polygon Predicament in our document library below. 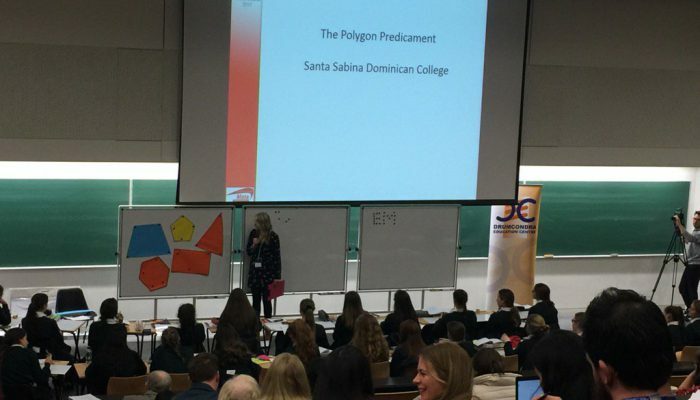 Dr. Declan Cathcart, Deborah Crean, Nadia Douglas and Jill Condell’s lesson Coordinate Geometry meets Synthetic Geometry is designed to help students to develop their deductive reasoning skills by devising as many solutions as they can to a geometric problem. Students are expected to draw on their knowledge of coordinate geometry and geometry theorems, corollaries and constructions to solve the problem. 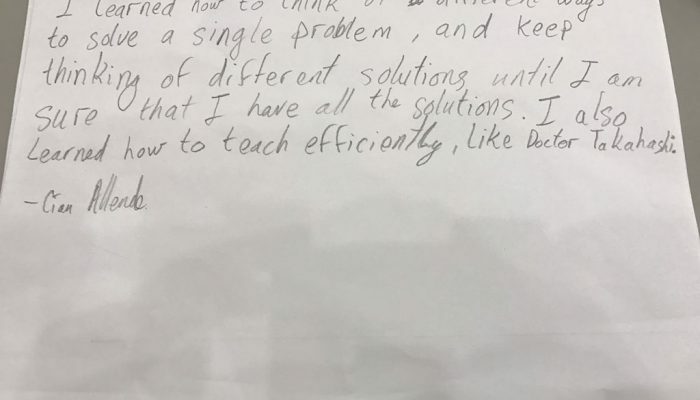 How did students approach the problem? What methods did they use? You can find their lesson proposal for Coordinate Geometry meets Synthetic Geometry in our document library below. 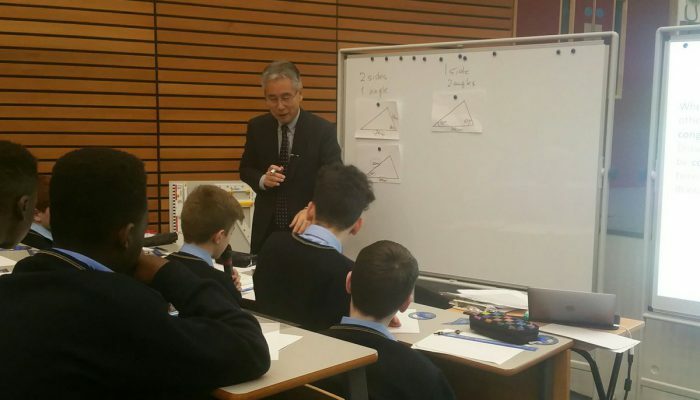 Professor Akihiko Takahashi wowed us for the second year running with his open-ended teaching of Geometry using structured problem solving. 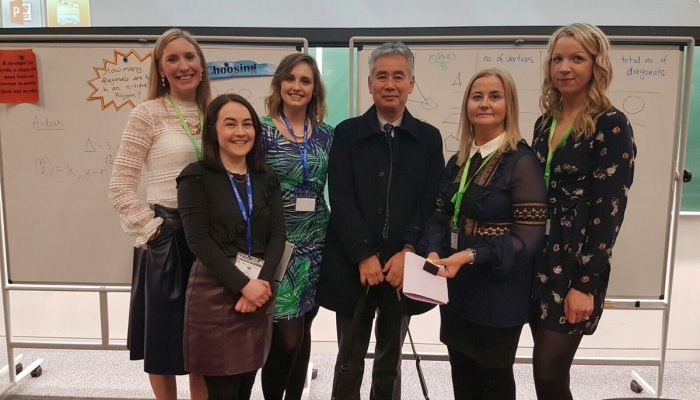 Professor Takahashi was ably assisted by first-year students from Maynooth Education Campus (incorporating Maynooth Post-Primary School and Maynooth Community College). Professor Takahashi also addressed the conference on the importance of open-ended tasks to maths lessons. 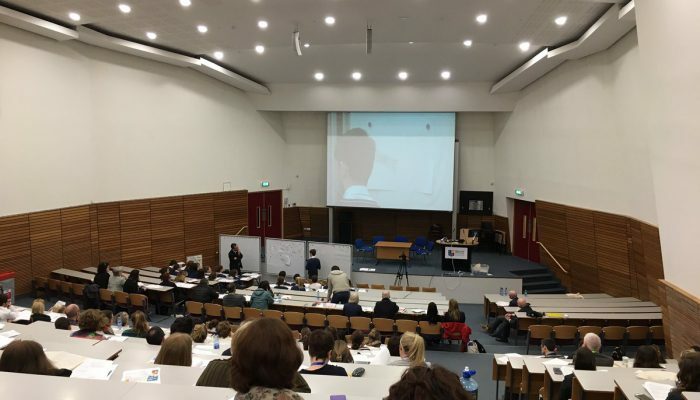 You can download Professor Takahashi’s lesson plan with student worksheets included in our document library below.You can watch videos of Professor Takahashi teaching live at Maths Counts 2017 here. 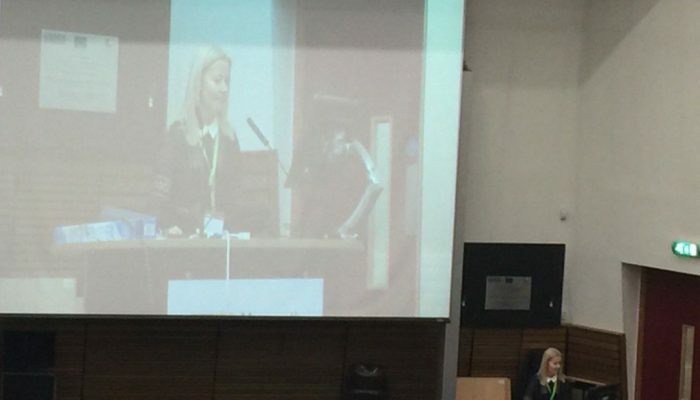 Dr. Anne Brosnan of the Maths Development Team gave a keynote address on the role that lesson study has played in supporting Irish teachers to incorporate structured problem solving into their maths lessons. 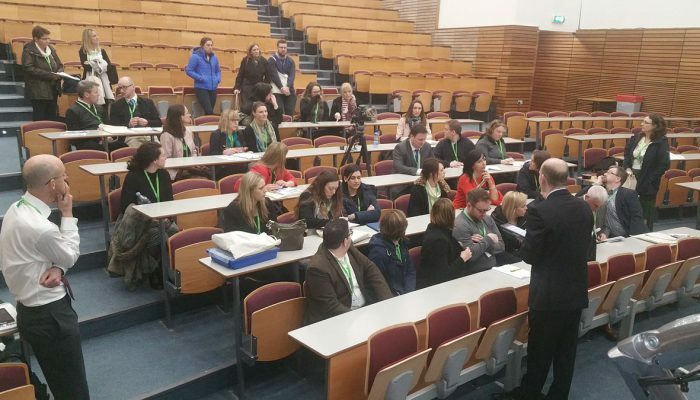 Dr. Brosnan outlined the growth of the Maths Development Team’s lesson-study programme and how its continuation can propel Ireland to have world-class maths education. You can download Dr. Brosnan’s presentation here. 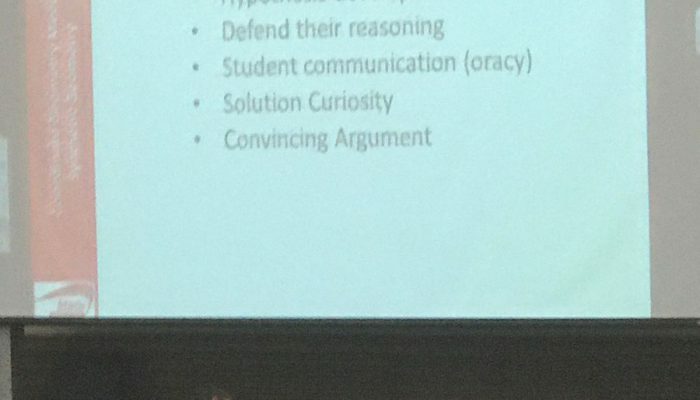 Teachers who participated in Lesson Study 2016-2017 hosted interactive workshops where they gave audience members the chance to try out their problem-solving lesson, discussed their students’ reaction to the lesson and discussed the many ways in which they benefited from being involved in lesson study. 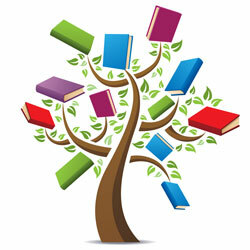 All the lesson proposals and problems presented during the workshops are available in our document library below. The 250+ maths teachers who participated in Lesson Study 2016-2017 produced a total of 52 lesson proposals. 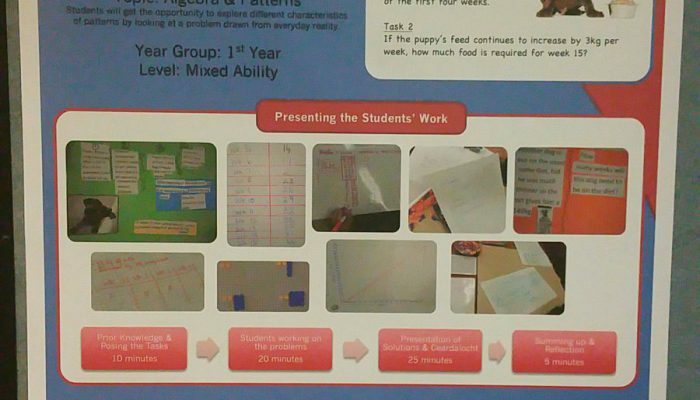 The lesson proposals were summarised by 52 posters which were displayed throughout Maths Counts 2017. All 52 lesson proposals are available for download in our document library below. You can download a PDF containing all the posters here but be warned – it’s a very large file (300+MB) and may take a few minutes to download. 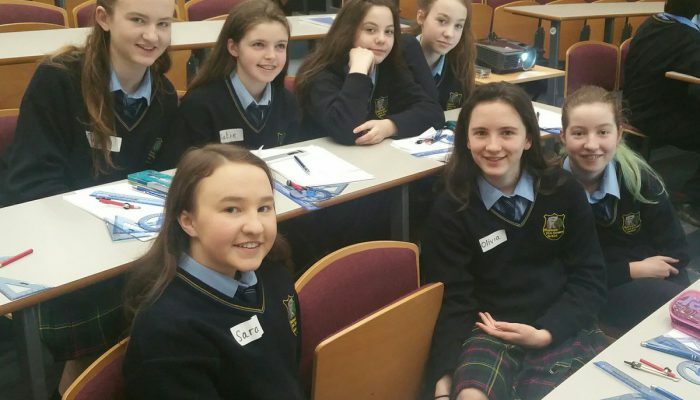 Thank you to our sponsors, Microsoft and Build-Up for sponsoring Maths Counts. 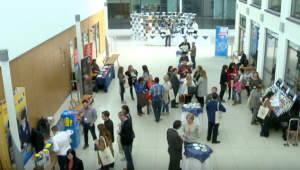 Thank you to all our exhibitors who provided teachers with lots of useful information about the latest resources for teaching maths. 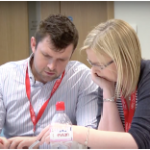 Check out the 52 lesson proposals developed by maths teachers involved in lesson study.